The Robotics Workshop organised by ISR and ROB 9-16 was addressed to younger students this year. The Robotics Workshop organised by the Institute for Systems and Robotics (ISR) and ROB9-16, within the programme “Ciência Viva para Ocupação Científica de Crianças e Jovens nas Férias 2018 (OCJF’18)”, started this Wednesday, July 25. According to professor Rodrigo Ventura, from the organising team, “this initiative exists for several years and has been keeping up with the new technologies”. 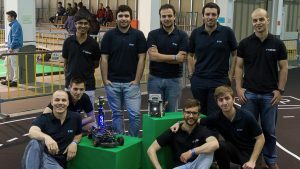 This year the organisation responds to the challenge issued by Ciência Viva by hosting younger students. Francisco Azevedo, a 9 year old student is one of the youngest. He is a natural born optimist and he confessed that “I am enjoying this workshop a lot. I have seen things here that I have never seen”. Now that he knows more about engineering he tells us that “I think I want to do these things when I grow up, but these people work hard”. Mariana Oliveira is one of the 8 girls of a group composed of 24 elements. She decided to attend the workshop “to keep a friend company”, but she ended up enjoying this experience. “I am having a great time”, she shares. “The funniest thing is to see the results from our team activities, such as a robot performing different actions”, adds the young girl. Besides the practical exercises she enjoyed a lot visiting the laboratories. “I was surprised because I had no idea that robots and drones are built at Técnico”, she says. The activity is designed to make the participants discover robotics, combining knowledge and fun, thus stimulating the desire to learn more. The programme is divided into short thematic modules, with a strong practical component. “The underlying strategy is to teach how to build mobile robots, from assembling mechanical components (LEGO, 3D printing) and electronics (welding circuit board components), to autonomous behavior programming”, explains professor Rodrigo Ventura. During the day the participants also had the opportunity to visit ISR laboratories and Faraday Museum. 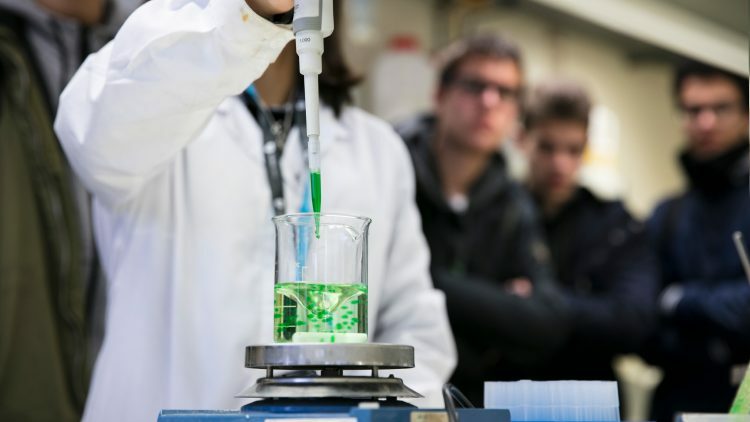 “We believe that a direct contact with the materials and problems will allow students to better understand engineering”, says professor professor Rodrigo Ventura.